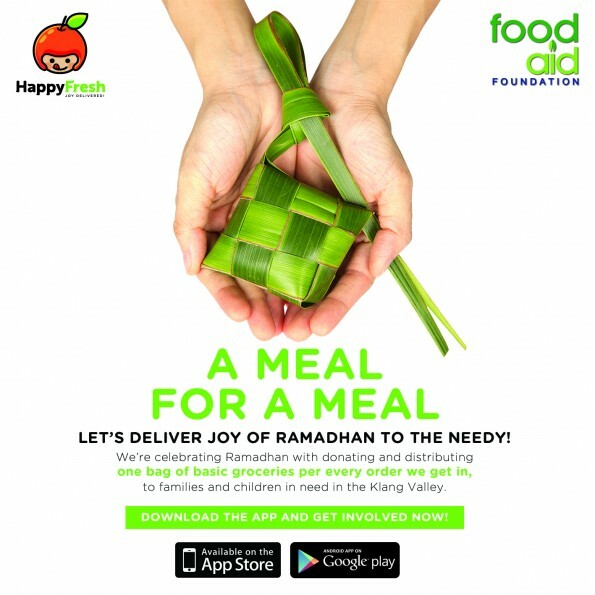 HappyFresh, the fresh grocery delivery service, is working with Food Aid Foundation to donate free food for the less fortunate folks during the Ramadhan month. With their “A Meal for A Meal” programme, HappyFresh will be donating a bag of groceries to those in need for every order placed via the HappyFresh app. The service takes place from now until 17 July and will distribute a fair amount of groceries to the people in need in the Klang Valley area. 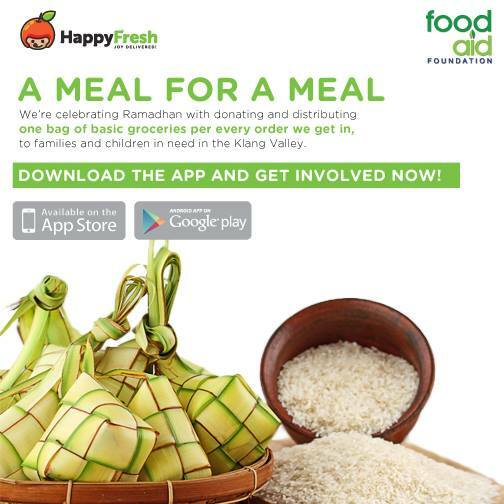 Also, after the month of Ramadhan, there will be a HappyFresh Charity Day where the donated grocery bags will be taken to Food Aid Foundation kitchen, cooked into healthy and delicious meals, and then personally delivered by HappyFresh drivers to the people in need, Venus Buzz reports. So, lend a helping hand to those in need by downloading the HappyFresh app right away from the App Store or Play Store!